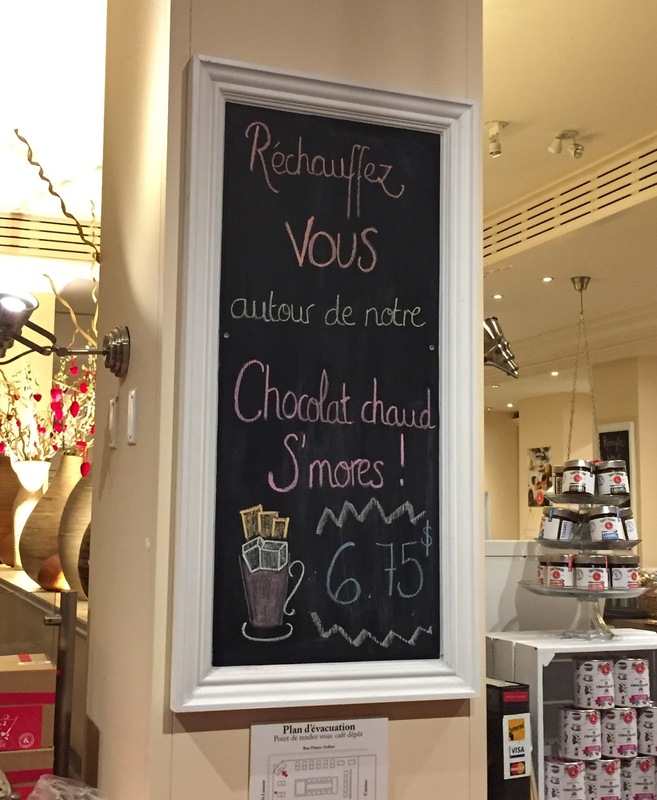 I saw a new menu drawn on the blackboard in Juliette et Chocolat called "Chocolat Chaud S'mores." It actually came with toasted marshmallows and graham crackers. 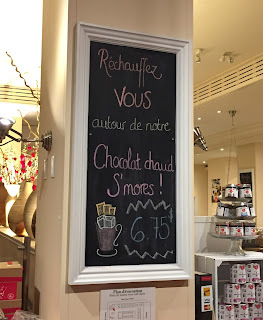 The hot chocolate was dark and bitter to me, and I prefer it's made with sweet milk chocolate. The graham crackers were crispy on the top, but the parts soaked in the hot chocolate was wet. Toasted marshmallows were fragrant and sweet.